Asec A11/A15 Deep Jaw Low duty Electric Release, on the 12V DC voltage the release is continuously rated and Deep Jaw. Hi, guys. My name is Darrel and I'm head of the tech team here at LockOnline.co.uk. Thanks for taking some time to tune in, and have a look at one of our product review videos. Today we're talking about strike Releases or electric strike releases that are designed primarily to be used in access control situations where you want to be able to release the door remotely from any location, which obviously isn't at the door. 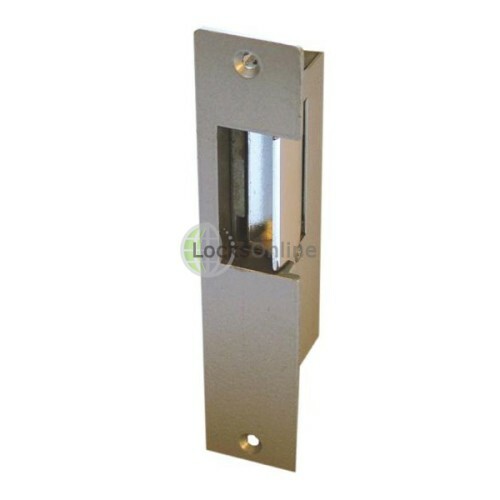 What we can normally do with that by using a mortice night latch sort of solution, we can put a strike release actually into the frame, and therefore you can electrically control that, and allow the door to be pushed open. 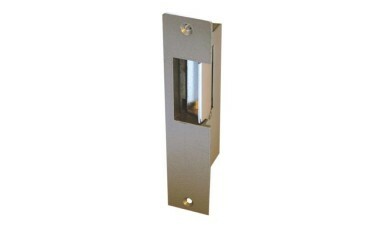 This is the Asec, the A11 or the A15 Deep Jaw Strike Release, which allows for a bolt that has a really, really deep jaw to work in an access control solution. Now, this particular lock comes in three different variants. 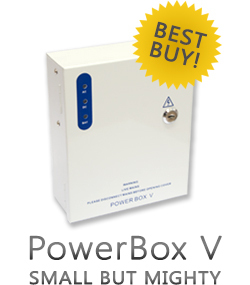 It comes in a 12-volt AC version failed locked, and 12-volt DC failed locked and failed unlocked. To give you a bit more insight in regard to what's the difference between failed locked and failed unlocked, if you're looking for security, then the chances are the strike that you'll be probably locking for is a failed locked version. In other words, if the power was to fail to the access control solution, would the door stay locked? In a failed locked solution, yes it would. If you're looking at using access control, and also you need to do an emergency escape, and if power was to be compromised in the building and you still need to make sure that final door is free to escape out of, then you would use a failed unlocked version. So in other words if power was to fail to the access control solution, the door would be opened naturally. So these are the two different variations. You've got to depend on what suits your particular application. Now, what's distinct and unique about this particular lock? They call it the deep jaw. It's purely and simply because the jaw is significantly deep there, as you can see. So if I was to actually get the measurement on that deep jaw there, we're talking there a good 15, just a fraction off 16mm by the time you get back up to the leading edge. So while I've got this out here like this now, what I'll do is I'll take some quick measurements, and then I've taken the cover off the side here to allow me to actually get at the mechanism inside so I can actually operate this, because this is the failed locked version. In other words it won't operate until electricity is applied to it. So the fore end length overall is 155mm, the fore end width there is 32mm. The depth of the actual lock all the way to the leading edge there is a good 38mm, and the size of the opening there, for your information, is 45, 46mm. You can get a significant bolt in there as we've already mentioned there about the depth. The actual width there as well, I'll just give you some actual measurement of the width there, is just a smidge around about the 20mm there. The connections are on the bottom of the actual strike release body, as you can see there. But what I've done is I've taken the screws off to allow me to take this plate off, and now we can actually see inside there. And if I was actually push that down and operate this, you can see there how much that actually moves all the way to allow a particular lock to come out of there. And if I was to measure that now, therefore then the deep jaw, we could get away with something in the region around about 13, 14mm there with no problem at all. So there you go, guys. That gives you a bit more information on this particular product. At least it will help you now try and make an informed decision as to whether or not this is the particular product for your application. But listen, if you need a bit more of advice, or you're not 100% sure, or you need a bit of advice on other products, feel free to give us a call or use our live chat on our website. It's totally free. You can talk to me or any of the guys on the sales team, or on the tech team. We're more than willing to help you, and to be honest with you, more willing to see you as a customer. That would be really good for us. 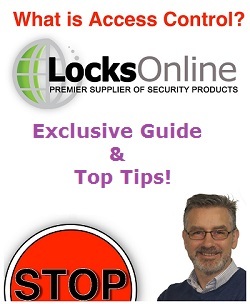 So from me, Darrel, and all of us here at the LocksOnline team, take care and we'll catch up with you real soon. Bye-bye now.